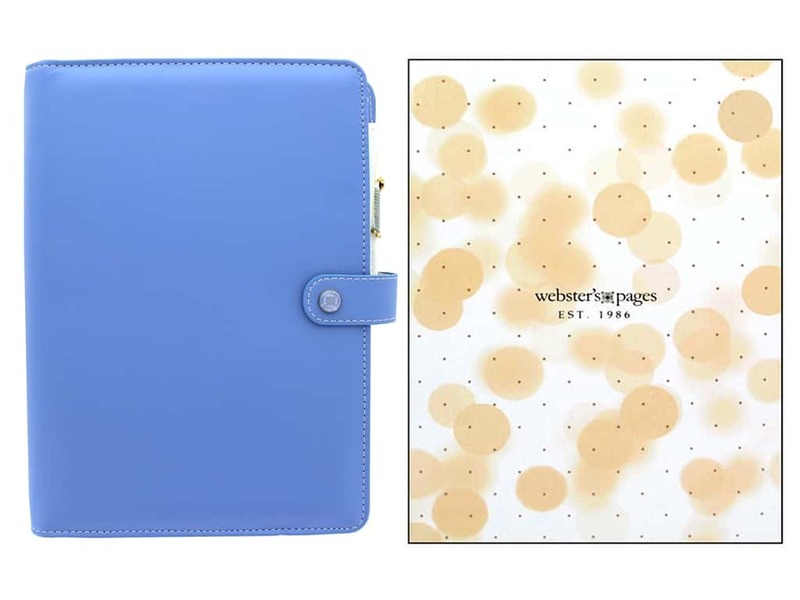 Description: Webster's Pages Color Crush collection is filled with products that will brighten your life. Planner Kit A5 Periwinkle- Purse-size planner with 6 ring binding system has, 5 patterned dividers, blank calendar pages, with blank weekly pages. Cover has a long snapping strap closure for expansion, with elastic pen loop, and inside pockets to hold credit or gift cards. Measures approximately 7 in. x 10 in. x 2 in., comes inside a gift box.